This is a very easy Tilda style fabric basket sewing project. 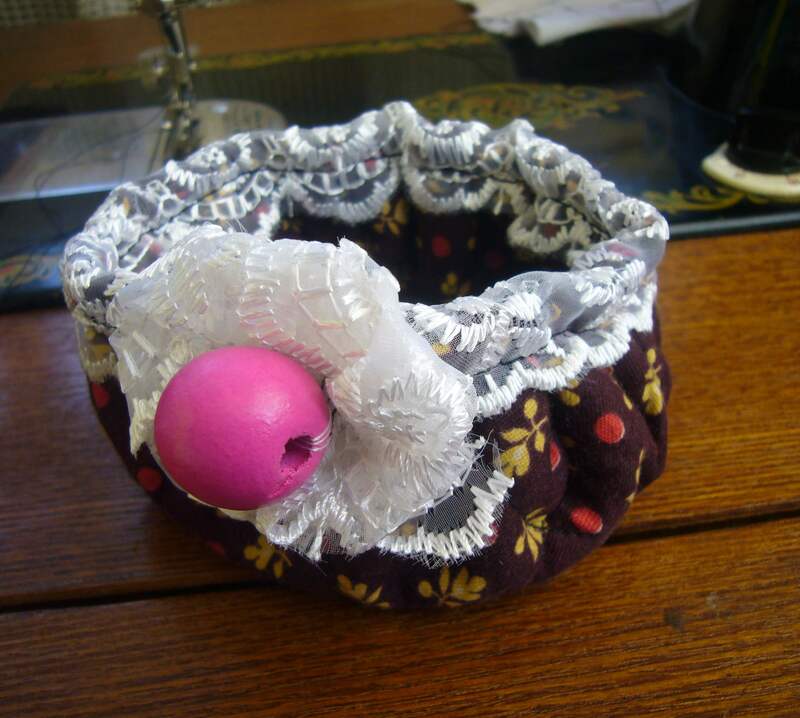 I have spent about 10 min making this fabric basket. I can use it for storing my make up or for crafting supplies. It’s a small and cute basket. Here is a quick how to or tutorial on this Tilda style fabric basket. You’ll need three layers of fabric for it. I cut out three equal circles. Two of them were made out of this brown fabric and one I cut out of an old sweater for the filling. I put two of the brown circles together and sew them leaving a small hole for everting. Then I everted them and inserted the third circle inside the two. I sew them together make these squares as you may see on the picture. 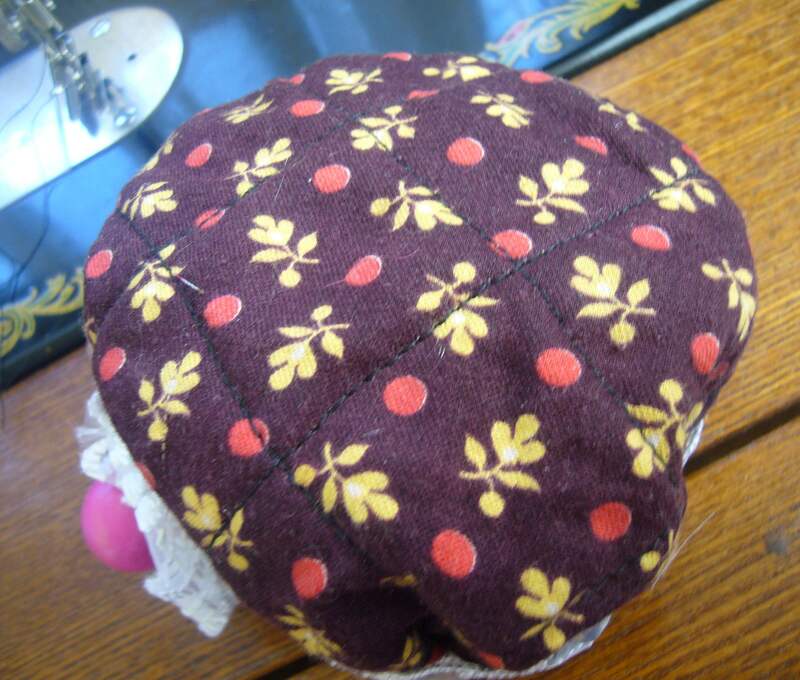 Then I used a needle and a thread to sew on the edges of the circle and pulled the thread to ruffle up the circle. Finally, I sew on the lace and made a rolled lace flower for decoration. It is an easy Tilda style fabric basket project. 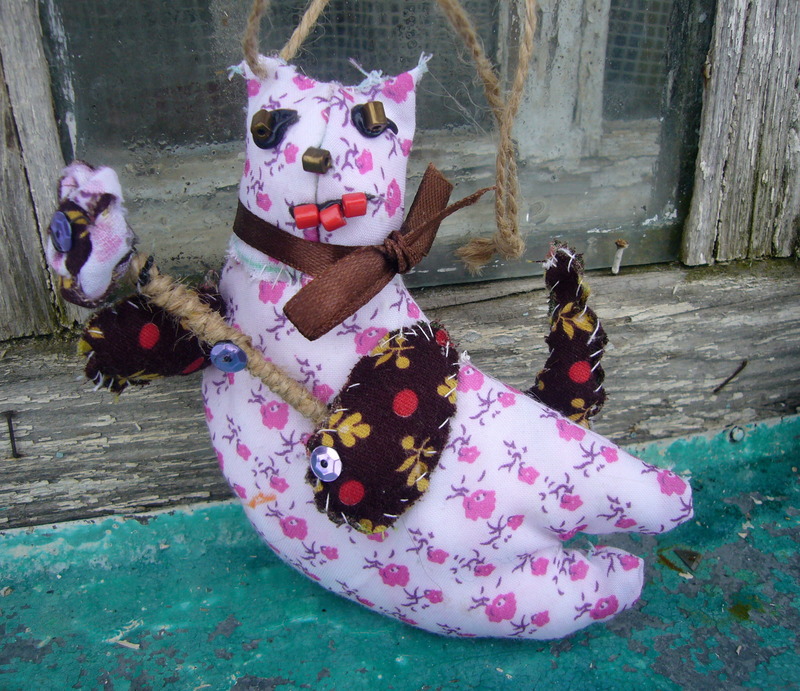 I just love Tilda toys and already made several of them. 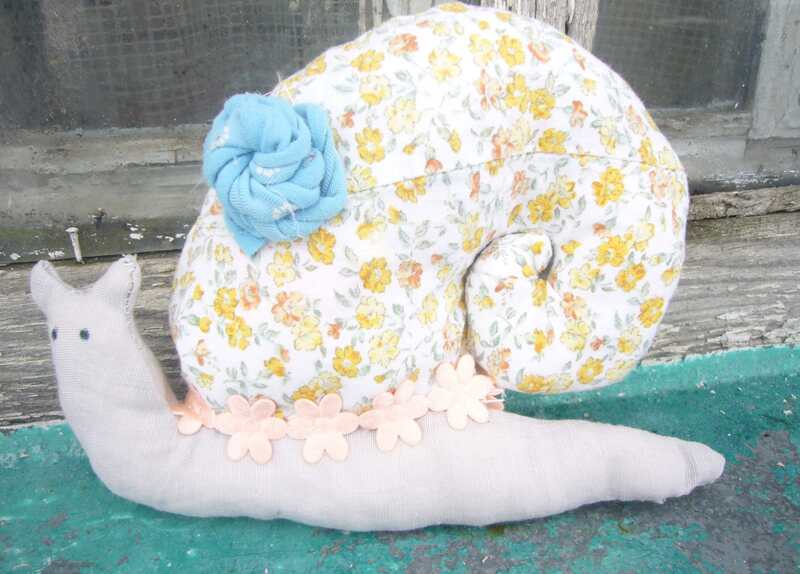 Here is my Tilda snail. And my flying tilda cat. 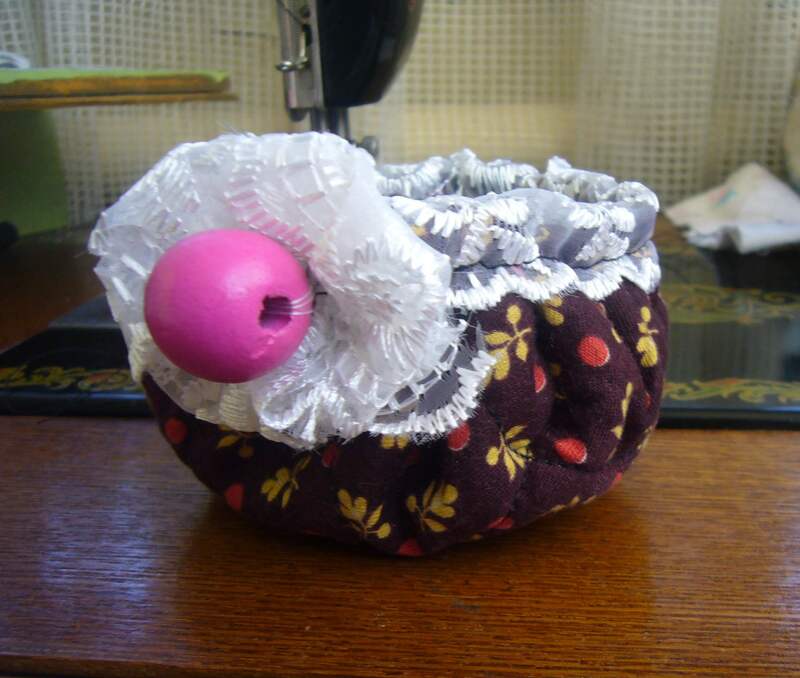 This entry was posted in Crafting Tutorials and tagged crafts, diy basket, easy fabric basket, easy sewing, fabric basket, fabric basket tutorial, handmade basket, sewing, sewing projects, Tilda style fabric basket, tilda toys. Bookmark the permalink.